Ever feel like you don’t know exactly what to do next in your business? If so, it’s time to stop and spend some time making a plan. 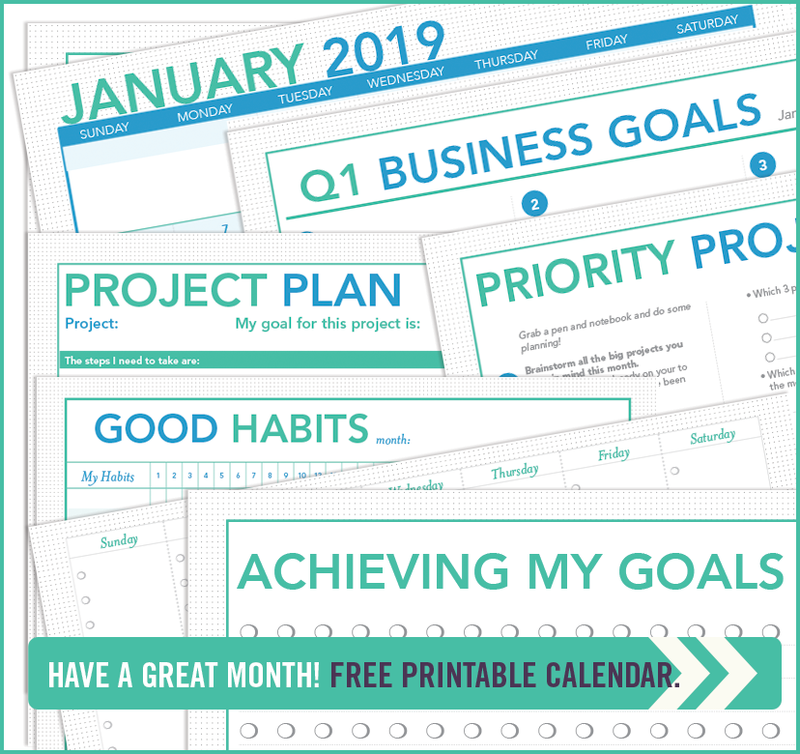 Making a plan each month means you’ll know exactly what steps to take to keep your business moving forward, less second guessing and more doing! Download the calendar, commit to taking one tiny action per day, and see how much progress you can make. Fifteen minutes of focused action, every day in January = more than 7 hours of work on one or more of your most important projects! 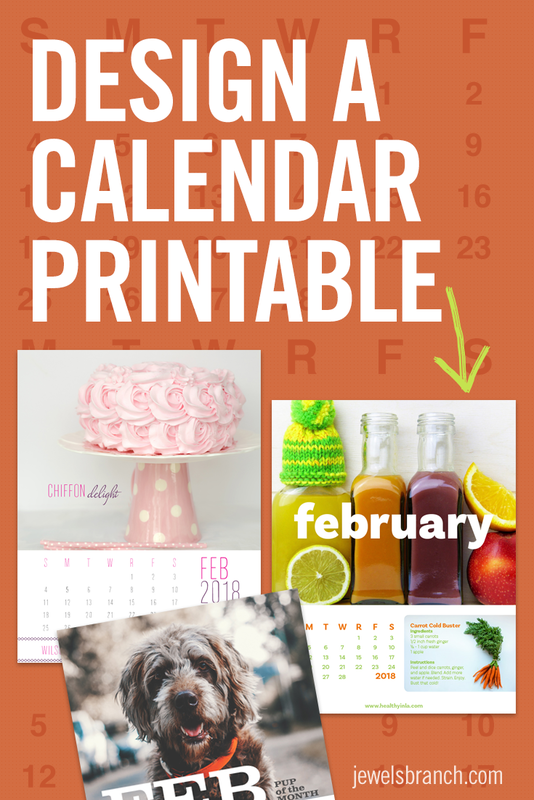 In addition, watch this video to walk through choosing your priority projects for January! 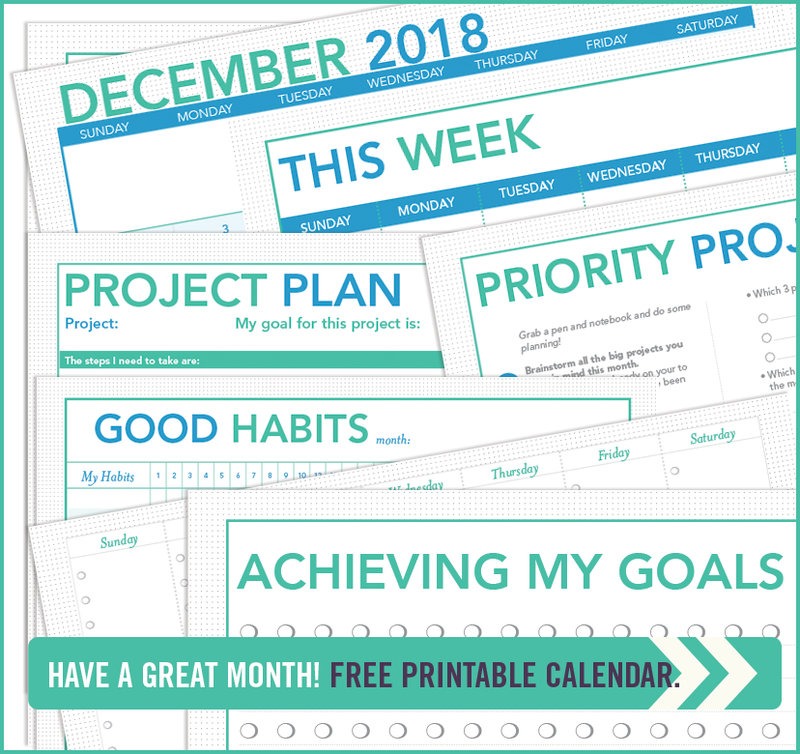 —> Sign up & get these planning printables + the Jewels Branch newsletter in your inbox each month. Fifteen minutes of focused action, every day in December = more than 7 hours of work on one or more of your most important projects! 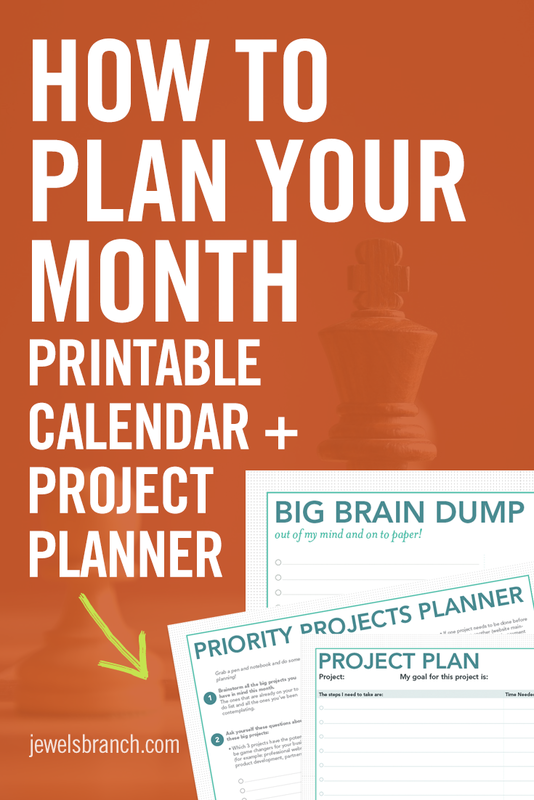 In addition, watch this video to walk through choosing your priority projects for October!